It's a shake and vape Cranberry Sprite that's as easy as 1, 2, 3. A little less FLV Cranberry and a touch of some kind of sweetner could make this more authentic, if you're just dying for a super authentic Cranberry Sprite vape. Some WS-23 or Polar Blast would probably make it more refreshing, too. But I like it just the way it is. Instant favorite from my first mix, easily in regular rotation for me. ID10-T is a god. Light in texture, that vague hint of fizz that Fizzy sherbet brings to soda vapes, the right amount of lemon-lime to cranberry...this tastes just like my favorite holiday mixer as it's just starting to go flat. All I'm missing now is the vodka. Bear in mind, this description brought to you from the weakest of my three devices, the Dead Rabbit, so odds are you may find it far more flavorful (the one i usually run my mtl tank is on loan, so i have a pulse and one other mod, and I'm running Cardinal in the mtl tank...). Just the thing for setting off the holidays in quick, tasty fashion, or if you want something alongside your lemon flavored beverages in the summer. This is awesome and awesomely authentic to what I thought a real cranberry sprite must taste like, and all with only 3 concentrates. Simple yet Blasting with flavor!! This and Ocean water got me really excited!! This is great if you need to something stronger than a cream to shock your taste a bit. Thank you! Super simple and delicious. Perfect light summer vape. The fizzy sherbet is definitely something that I can taste working here to bring that fizz perception. I'll be investigating it and VT Lemonade in the near future. That sour, powdery, pixie stick things is definitely what mimics this. It lingers on the tongue for quite a while. I love this as is or with the percentages raised a tad with a little sweetener and ws23. Thanks for a superb simple 1-2-3! I can't stop vaping this, its so damn satisfying! I added 1.5% WS-23 and 1% Sugar Daddy sweetener and now this stuff is nearly on par with crack. Great recipe man, I always look forward to your new releases and hope I have all of the proper flavorings. If not, into the virtual shopping cart they go. Such a great use of Fizzy Sherbert! 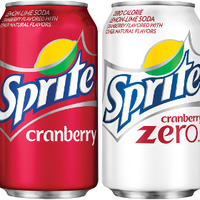 Never had a cranberry Sprite but, if it taste anything like this recipe, I want to petition to have access to it all year long. Simple but absolutely delicious and refreshing vape! I was tempted to add some WS-23 but I've been enjoying it as is. I left out Cranberry and raised CAP Lemon Lime to 3% as you suggested. Refreshing as hell Dave. Love it. The first non-bakery juice i really like. By the way, add 2% CAP Juicy Lemon and 0.5% FA Aurora for a bit of zing, or whatever the word is for it. Great and simple recipe that shows the potential of the fizzy sherb. I think the cranberry is a little heavy for one to one like the soda, but I'm perfectly fine with it because it tastes better like this. Finally a fizzy soda or close to it. Very tasting and refreshing. Thanks for releasing this.